We sat down with Maximilian LeRoux, founder and CEO of AINA Wireless, a Finland-based push to talk accessory startup. AINA's first product, the AINA PTT Voice Responder, a Bluetooth-enabled PTT accessory designed specifically for work applications, was just recently launched. We are a Finnish maker of rugged wireless communication devices designed for use with push to talk smartphone apps, like Zello. How do you pronounce AINA? AINA is a Finnish word that means “always”. It represents our focus on wireless products and is a reference to the Finnish roots of our company. It is pronounced like “eye-nah”. What led you to develop AINA in the first place? As you know, traditional, bulky walkie talkies are increasingly being replaced by modern smartphone apps like Zello. But for work applications – on the road, on a job-site – a smartphone may be too quiet, too hard to use hands-free or even just too fragile to be a perfect walkie talkie replacement. To fix this, in 2014 I founded AINA with the mission of developing rugged, reliable, easy-to-use Bluetooth accessories, purpose-built to be paired with push to talk smartphone apps, like Zello. There are a lot of PTT accessories on the market. What makes AINA different? Well, what you might notice first is that the PTT Voice Responder does resemble other, more traditional speaker mics! This was on purpose; our goal is to have users who are familiar with a speaker mic's layout be able to start using our products with a minimal learning curve. That said, what's most different is that we designed the device from scratch with the work user in mind. For example, we ensured it has loud volume settings so you can easily hear messages in a noisy work environment. Or, for workers who need to wear gloves on the job, we added two large PTT buttons. And under the hood we put the most amount of work into the Bluetooth software that ensures a reliable, high-quality connection with your smartphone. Why did you decide to focus on developing an accessory for smartphone PTT? We believe smartphone PTT is the future, frankly. 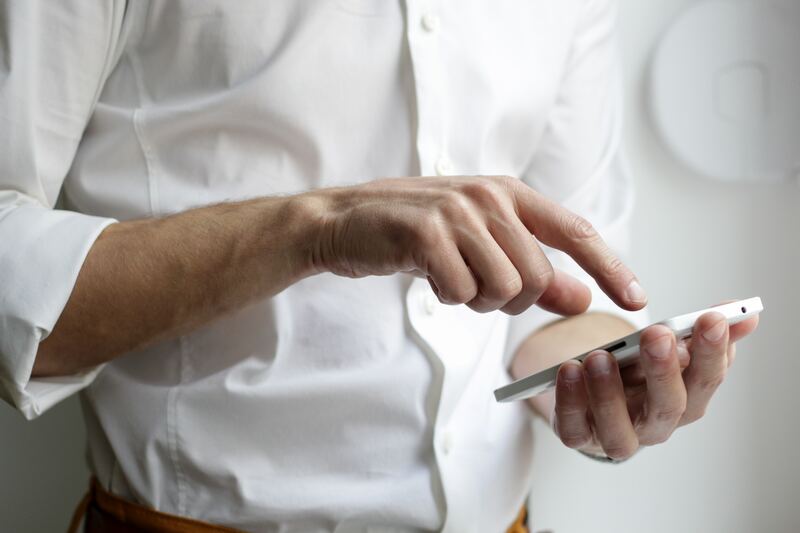 It's more cost effective than both radios and carrier push to talk, in that you can use any off-the-shelf smartphone, or even the smartphones your employees already have. It's also just technically better. Your messages are always delivered, you're able to toggle your availability settings if you're busy, you can replay any message you might have missed, and you can easily message a single person or a custom group. We just looked at all the options out there and thought 'this is what we should be developing for'. What’s next for AINA Wireless? Our next product will be a PTT remote control device featuring two PTT buttons, that can be paired to a surveillance kit, a C-loop headset, a car's Bluetooth speakers or a stock smartphone headset. We believe there's great opportunity for a product like this in any application where discretion is necessary, whether that be working around guest rooms in a hotel, on the retail floor of a big box store or even for covert police and security operations. Additionally we're working on a mission critical PTT device that will comply with FirstNet, the upcoming public safety broadband network in the United States. 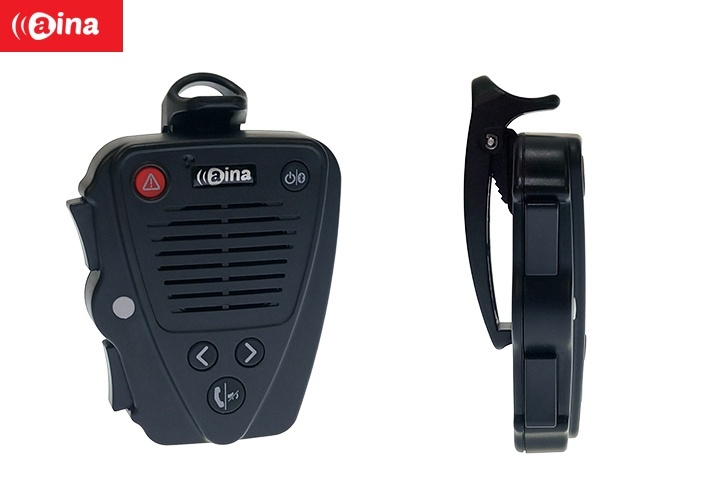 You can order the AINA Wireless PTT Voice Responder online at AINA-wireless.com.